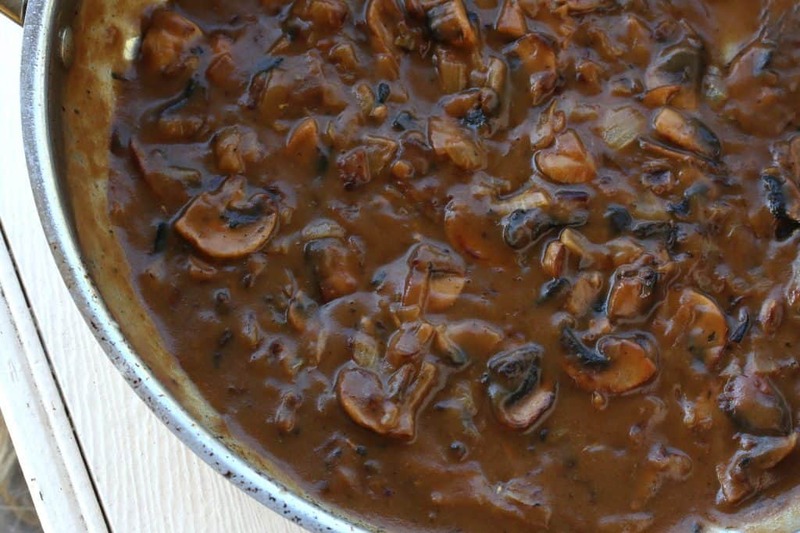 If you’re looking for a delicious brown mushroom gravy, look no further! Absolutely nothing beats homemade when it comes to gravy and there is no reason whatsoever to resort to the packaged stuff because one, homemade is easy enough to make; two, the packaged stuff is full of junk ingredients; and three, packaged doesn’t come anywhere close to the flavor of made-from-scratch gravy! For a mushroom gravy with great depth of flavor, here are a few tips: Butter is a great option for sauteing the onions and mushrooms, but for even more flavor use beef drippings, lard or bacon grease. Then cook the onions until they’re nicely golden brown, which is key to the flavor of the gravy. Do the same with the mushrooms, caramelizing them for optimal flavor. While cornstarch can be used for thickening, flour is the best choice for flavor. Add some extra butter to the caramelized onions and mushrooms, then add the flour and cook it for a couple of minutes. This roux-like method is absolutely key to the flavor of the gravy. 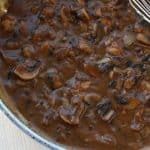 Serve this delicious brown mushroom gravy over roasts, steaks, meatloaf, roast chicken, potatoes, Yorkshire puddings, vegetables and more! Melt the butter (or beef drippings, lard or bacon grease) in a pan over medium-high heat and fry the onions until beginning to brown, 5-7 minutes. Add the garlic and cook another minute. Add the butter and melt. Add the flour, stir to combine and cook for 2 minutes, stirring continually. Add the beef broth, thyme, salt and pepper. Whisk continually until the gravy is thickened. Cover and simmer on low, stirring occasionally, for 5-10 minutes. Add salt and pepper to taste. If you prefer the gravy thinner add a little more water. 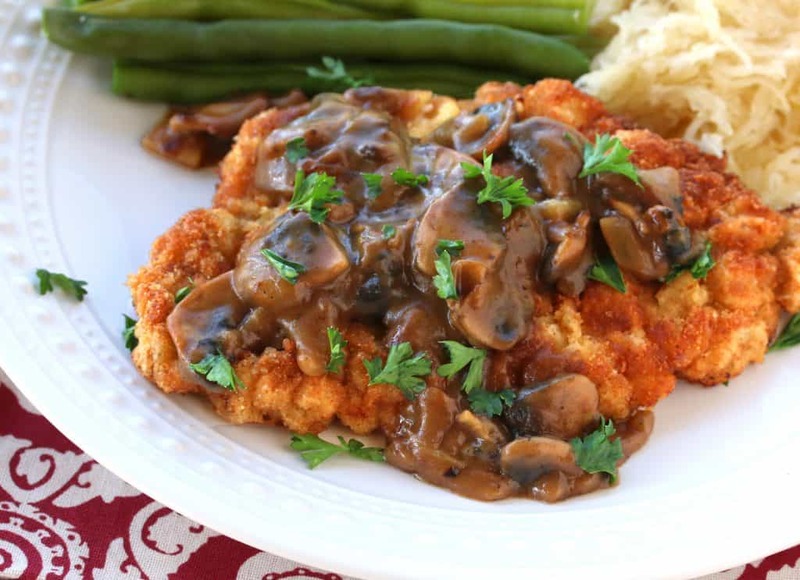 Try this Brown Mushroom Gravy with our Authentic German Jägerschnitzel! Easy to make with a wonderful depth of flavor! Melt the butter (or bacon grease, lard or beef drippings - any of these will yield the most flavor) in a pan over medium-high heat and fry the onions until beginning to brown. Add the garlic and cook another minute. Nothing better than homemade gravy!! Definitely trying this next week. Wonderful! 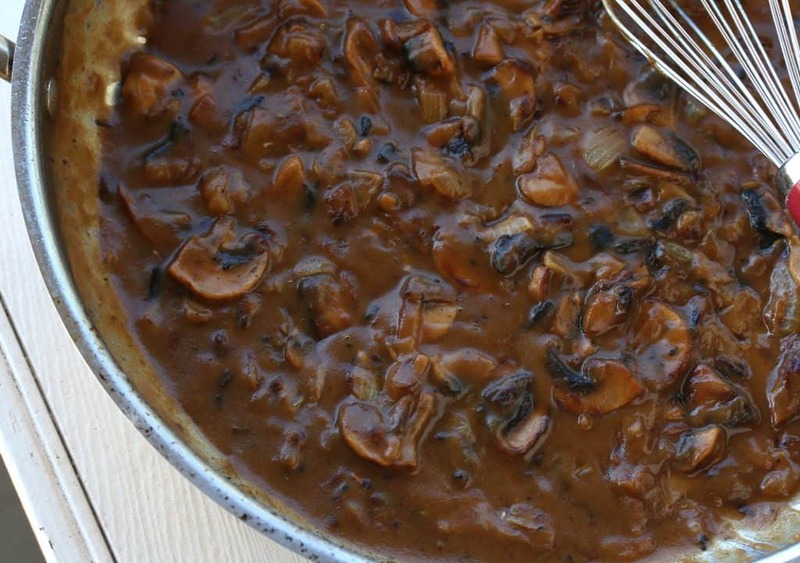 I’m a mushroom lover, and this gravy looks so rich and delicious! I may give this a whirl this year! Love it! These look tasty! I think a big steak would go great with them! I think I want to try this over the turkey this week. It is the perfect gravy. I am thinking of all the ways I can use this! So good! Oh my goodness, I think I need a spoon!! I can’t wait to make this for my mom next time we have her over for steaks! Wow, this looks rich and delicious! I can’t wait to try it! I love a good homemade gravy and adding mushrooms just makes it even better! Hi Kimberley, if I use the beef bouillon cube, would I have to add anything else to try and get the same depth as a beef stock? Hi Jennifer, the beef cube will be fine. Happy cooking! Have you ever used Better Than Bouillon? It comes in a jar. I use the chicken variety as a way to boost the flavor in borscht in I typically use low sodium boxed broth. I have, Stephen, but I personally avoid it because of its ingredients. I love mushrooms and will be making this recipe next week. Thank you for all your recipes. This tastes exactly like the Jager sauce I remember from Manheim and stutgart! Thanks for this! Now to find a good spaetzle recipe. This looks so good!! I’m going to try it. I know I’ll love it. Thank you for sharing! Thanks, Beth, I hope you enjoy it! Woohoo, I’m so happy to hear that, Beth, thanks for the feedback! I made this gravy to go with meatloaf….let me tell you….it was absolutely delicious!!!! I’m going to make again with some breaded pork sirloin cutlets next week!!! yummy!!! That’s terrific, Bzzy, I’m thrilled to hear that, thank you! Wonderful, Heidi, thank you so much! This was amazing. Prepared as written. Keeper. Thank you! I was a bit dubious of this recipe based on the pictures but it is LEGIT! The flavor matches the deep, dark lusciousness of the color. The vinegar gives it a slight tang that some might find out of sorts so feel free to leave it out if you wish. I added a 1/2 cup of red wine before the flour to add another layer of flavor. Fantastic, Luis, I’m so glad you enjoyed it, thank you! Hi Rick, that has everything to do with how long you “caramelize” the flour/butter. The darker that gets, the darker the gravy will be. I’m so glad you enjoyed the gravy, thanks for the feedback! Excellent! Everyone I have made the gravy for have loved it. I made the gravy for Schnitzel. Thank You!!! Woohoo, I’m so happy to hear that, Maria, thank you! This happened to me too, turned out that I accidentally put in 2 TBSP instead of teaspoons ( added 1 tsp the second time), I also added just a touch of an Italian herb mix instead of thyme and it turned out so much better the second time! Hi, Kimberly, Can I make this in advance? Hi Erika, yes, this does pretty well reheated. I can’t believe how simple it was to prepare. This was my first gravy from scratch and it was so flavorful. Everyone enjoyed it! Now I will use it for Thanksgiving. Thank you. Fantastic, Diana, I’m so glad you and everyone else enjoyed it, thank you. Happy Thanksgiving! I’ve made this twice now. Frankly, it’s amazing. Fantastic, Mark, thanks so much! Hi there! Is it ok if I don’t add Balsamic Vinegar? Will it affect the taste much? Hi Janis, sure, that’s no problem at all! I made it! I halved the recipe and it turned out great. I was hesitant about the sugar and vinegar, however, figured they must serve a purpose. Since I had bacon on hand, I used the rendered grease to sauté the onions. I let a few bigger chunks of bacon simmer in the gravy, while waiting for my potatoes to cook. Fantastic, Katie, I’m so glad you enjoyed it, thank you for your feedback! Great recipe! I get really irked when people change the recipe and say, “great recipe” so full disclosure – I used a good chicken stock and it STILL turned out great. The beef stock I thawed had no flavor so I decided that more flavor, but chicken, would be better – and it was. I just made sure the mushroom got really brown to give it more color and flavor. The genius of this recipe is the little bit of acid from the balsamic – I would not leave this out because it balances the flavors! Also used fresh thyme because I had it on hand. I’m serving it with pierogis, pork roast and Polish sausage for a Christmas lunch… But, I’ll be making it again. Thank-you! Awesome, Lisa, thanks so much! And your Christmas lunch sounds fabulous! Exquisite! The title of “BEST” is spot on. I followed the recipe exactly and it is SO good! Thank you for this awesome recipe! YUM!! Love this sauce!! I used Better than Bouillon for the broth and followed the recipe exactly. I did prep the ingredients ahead of time and kept in the frig until I was ready to make it later that day. I served it over center cut pork chops and whole wheat egg noodles. 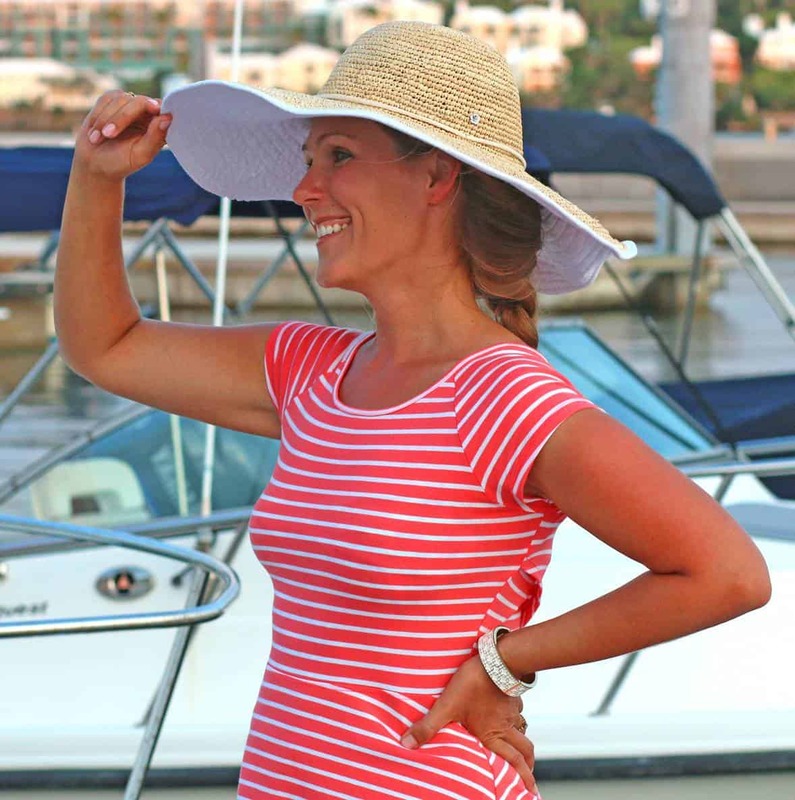 Hubby loved this as much as I did. After reading the reviews, I will try it over meatloaf. Fantastic, Maggie, I’m so glad you both enjoyed it, thank you! I’ve made this twice now. The balsamic vinegar was a little overwhelming the first time. The second time I made it with 1/4 teaspoon of balsamic vinegar and it was much better. Thanks for the recipe as it’s much better than jar gravy! I’m glad you enjoyed it, Dan, thank you! Just made this and half way though eating it with my schnitzel and could not wait to make a comment on it something I never do but this is so good I had too, the most authentic mushroom Gravy I’ve ever had and I made it myself. Thanks a lot,Martin. I’m so happy to hear that, Martin, thank you! I made this for my family tonight and everyone loved it. I was leery about the sugar and balsamic but they blended beautifully with the rest of the flavors. I’ve been looking for a Jaegersosse recipe and this one is perfect. Thank you! I’m so glad, Kimberly, thank you! I made this with chicken stock because that’s what I had. Otherwise followed the recipe to the letter. The result was wonderful! Thank you. I’m so glad you enjoyed it, Udi, thank you!